Rating: Average 4.58 / 5 out of 26 total votes. Summary: Meguru Takayanagi is trying to find a "practical" fighting method rather than the traditional karate he used to do when he was a kid, enrolling himself in a mixed martial arts gym (The fighter's brew) he started on his road to become a "Shooto" fighter, that's when he will find out his best friend from childhood and the dark secret that surrounds the motivation for revenge. 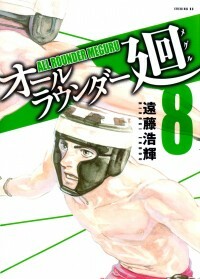 Alternate Names: オールラウンダー廻, 全能格斗士, 全能格鬥士, All Rounder Meguru, A.R.M.